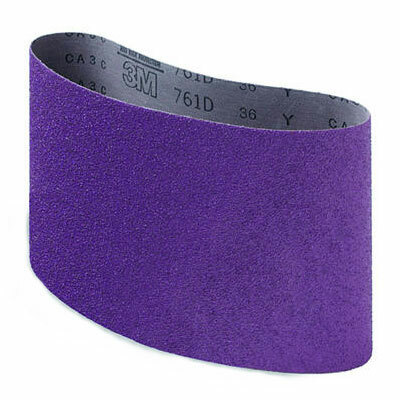 3M Regalite Resin Bond Cloth Purple Sanding Belt 04146, 60Y Grit is a tough, aggressive belt. Best productivity and value on bare wood or nongummy finishes. Cuts faster, runs cooler. Features 3M Cubitron ceramic aluminum oxide mineral blend, 761D. Extra-durable cloth backing. Non-directional splice.